Digital applications for keeping track of everyday tasks and appointments are increasingly growing in popularity. But when all is said and done, there is still nothing quite like a planner made from pages of handsome paper to start your day. One such creation is the Mommy Mundo Mom 24/7 Planner. More than managing mom's schedule for work and home, Mom 24/7 Planner features all sorts of trackers, from your child's immunization and health records to your very own menstrual cycle. It also has a party planner sheet as well as pages to write down your menus with their corresponding grocery lists. 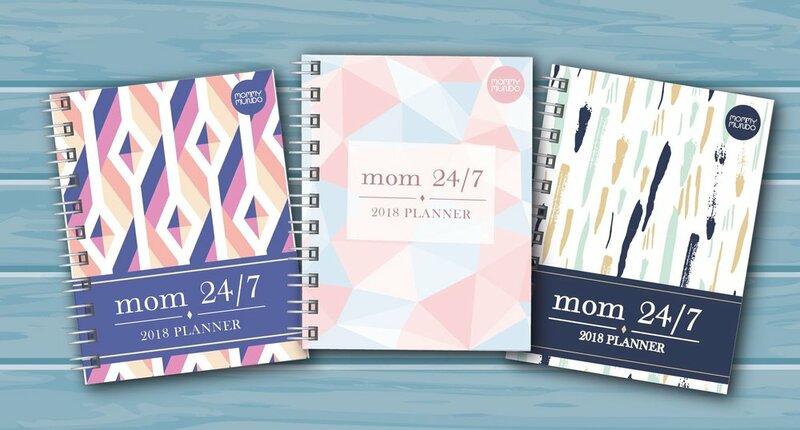 Moms who have preferred the Mom 24/7 Planner through the years find that it's really the only planner that works for them as it knows everything they need. The Mommy Mundo Mom 24/7 Planner is also known for providing “breathing spaces” for moms with relevant quotes from fellow moms printed on some of the pages. It also features quick exercises designed to help moms re-center their goals or delight in the joys of everyday milestones, big and small. The absolutely awesome news for the 2018 edition is that there are going to be three different covers for moms to choose from, all contemporary in spirit but each distinct in their design sensibilities. Mommy Mundo Passport Holders with valid cards may get their free planner at Expo Mom Holiday, November 11 to 12, 2017, at Glorietta, Makati City. Moms who apply for a passport online from now until Expo Mom Holiday may avail of a free planner as well. Those who apply for a passport after Expo Mom Holiday will not be eligible for a free planner. Plus, Passport Holders get 10 percent off on their orders of additional copies. Get your Mommy Mundo Passport now!